Speaking of Le Carre, did anyone watch The Night Manager? I'm curious about general opinions but also divergence from the book (which I haven't read). I didn't watch it, but the Boss liked it a fair bit. In many respects, reading this is redundant as it's more on the same things he's been banging on about for a few decades now—recovering the humanist qualities of the Enlightenment that have been corrupted by corporate interests of abstraction, alienation, and hostility to the common good. The writing here is a lot more choppy, probably better appreciated by philosophers than the average dope (including me). Knowing Saul's other writing is making this one easier to comprehend. 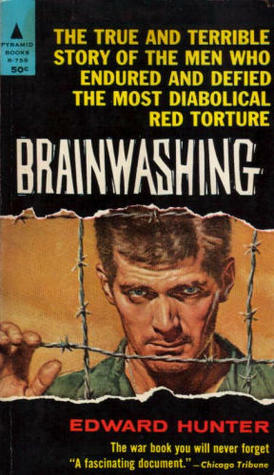 Chugging into stuff on brainwashing in the 1950s and 1960s as part of an essay on mind control, payola, rock n roll, and fear of mass culture. I had the idea a few years ago and used it as a lecture but I want to research and write a proper piece on it as part of a series of essays on hostility to rock music. I'm reading through Le Carre at the moment but in chronological order so nowhere near The Night Manager yet. Enjoyed the series, though, great cast and Tom Hollander does a particularly great role as the villainous sidekick. Agreed. I liked how he always seemed to be there, lurking and watching. 30) Slaughterhouse Five by Kurt Vonnegut. Audiobook. My first read of this, so I'm contractually obligated to make the entirety of my notes on this book amount to "so it goes." Ten Days That Shook the World. Trying to read the whole thing in one day. 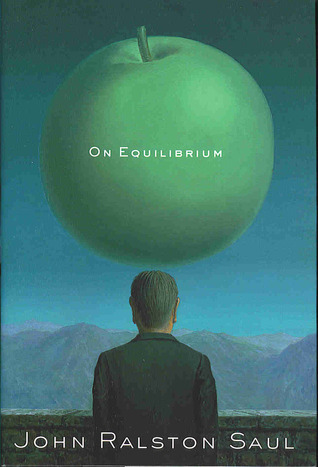 in February 1963, Buckley advertised his new book with a quotation from Schlesinger: “He has a facility for rhetoric which I envy, as well as wit which I seek clumsily and vainly to emulate.” Rather than playing along with the joke, or at least rising above it, Schlesinger wrote immediately to demand that the publisher furnish him with “the source of this statement or else discontinue its use.” On and on the correspondence went, with a delighted Buckley never failing to up the stakes. “Would you be so kind as to ask Mr. Schlesinger to okay the translation of his quotation into French,” Buckley asked in April, including the text. Then he put out a press release saying Schlesinger was suing him and trying to censor the book. Furious, Schlesinger wrote a public letter to Publishers Weekly protesting that “both claims are false.” Inevitably Buckley responded, happy to keep the row going. He would stop using the quotation, he wrote, if Schlesinger sent him a letter “requesting me to do him the personal favor of removing it.” Otherwise, “so long as he tries to get me to drop it under the pressures of Messrs. Greenbaum, Wolff and Ernst [attorneys], I’ll go to the electric chair first, and instruct my heirs to put on my tombstone, Wm. F. ‘Envy His Rhetoric’ Buckley Jr.
From Aldous' bio of Schlesinger. Given what a smug guy Schlesinger was, tho, I enjoyed it. It'd have been better if Schlesinger had done something to deflate Buckley, too, but half a loaf, etc. I'm seeking to climb the ladder at the bookies as quickly as possible for more cash and security. Using a more moral version of the techniques that spurred the title character through the Years of Lyndon Johnson is seeing my reputation rise in the company. I'll be killing Vietnamese children before you know it. That’s the title to volume one of my extensive biography of Mark Wahlberg. I'd wager £1 that "John Landis" was backspaced from Wolter's keyboard as he composed this post. There really is an embarrassment of riches in that department.